A host of current and former Mundella WAWFL stars were honoured as the 2008-2017 WAWFL Team of the Decade was announced at our annual presentation night. 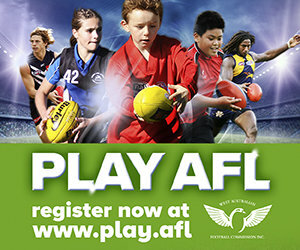 In order to be eligible for selection, players had to have played at least four seasons in the WAWFL between 2008-2017, and clubs from within the competition nominated players they deemed worthy. WAWFL President Carolyn Hills congratulated the team and said all of them had made an enormous contribution to the success of female football in WA. “The aim of the WAWFL Team of the Decade is to recognise the outstanding contribution the players have made to the competition and these players are all certainly worthy of the highest form of recognition,” said Carolyn. “This team is full of players that have won a multitude of awards at WAWFL level and within their own clubs, and represented our State. As the game continues to evolve, speed and skills are now as important as ever, this team is highly talented, and positions should be held with pride. 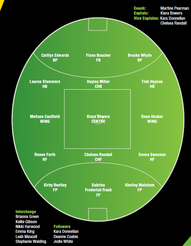 Congratulations to those all made our latest Team of the Decade, you have etched your name into WAWFL history.